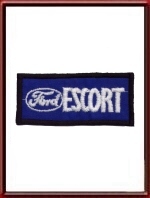 This is a vintage patch from the early 1970's. NOS (New-Old-Stock), never used, mint condition. It measures some 10 x 4.5 cm or 4 x 1.75 inches. Excellently suited to giving your outfit that classic & "period" touch!